Literati, take note – from September 6–9, some of the best and brightest minds from around the world are going to be in town for the Brisbane Writers Festival. While you’re busy hopping from talk to workshop and soaking up all of the brilliance, it’s important to keep yourself fuelled – so we’ve taken the liberty of whipping up a handy list of the best spots to eat, drink and unwind in the area. The perfect kickstart to your Brisbane Writers Festival adventure is a damn good breakfast – it’s the most important meal of the day, after all. If you’re getting in early for a coffee hit, make tracks to Pourboy for some specialty brews and a bite to eat. Glee Coffee Roasters is another sure bet – sip on coffee made from beans roasted in house with a side of unique cafe-style eats. In a rush? Swing by Lost Bean for a perfectly poured Blackstar brew and something fresh from the cabinet to go. For a quick hit, Hoo Ha Coffee Bar has you covered with Fonzie Abbott beans and fresh pastries, and Miss Green’s Beans is a great Fish Lane pit stop. Location and deliciousness combine at the conveniently located Gauge, where you can enjoy award-winning fare and coffee a stone’s throw from the festival. 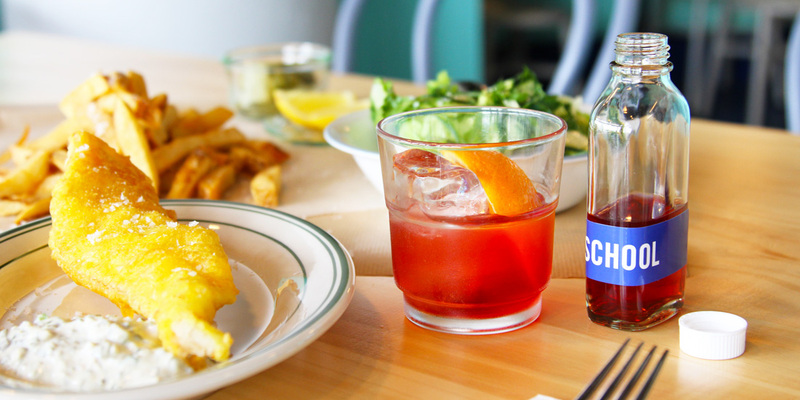 The halfway point in the day calls for some serious sustenance, so get your midday fix at these top spots. Taro’s Ramen is a guaranteed winner, serving up its steaming bowls of noods for a hearty lunchtime fix, while just across the way you can check out hot stops Chu the Phat for Asian street eats and Naïm for nourishing Middle Eastern fare. 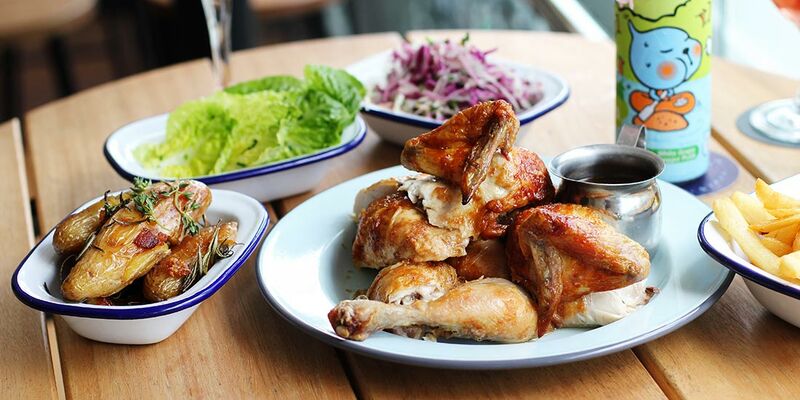 Over in the South Bank direction, Little Big House is perfect for you and your crew – settle in to modern pub-style mains and share plates galore. If you’re on a bit of a cleanse, NU Healthy Cafe will sort you out with nutritious and scrumptious selections. For something super close to the venue, Hope Street Cafe is a great option – this profit-for-purpose spot serves up hearty classics for a cause. Whether you’re catching an early bite before an evening session or finishing your day, we’ve got your back. Fish Lane is brimming with choice eats – munch on modern Vietnamese at Hello Please, sample Italian fare and Aperol spritzes at Julius Pizzeria, get your meat sweats on at Big Roddy’s Rippin’ Rib Shack or feast on fancy fish and chips at Ol’ School. So many options! If you have a big gang in tow and are headed South Bank way, the massive Munich Brauhaus and Mucho Mexicano are great for groups and boast plenty of share options. Plant-based pals should definitely make time for Greenhouse Canteen and Bar – the food here is so delicious that it will satisfy even the most staunch carnivore. For some of us, the perfect way to unwind and debrief is with a drink in hand – hey, if it’s good enough for Hemingway! For something intimate and bespoke, try your luck nabbing a seat at Maker – this hole-in-the-wall treasure boasts some of the best custom concoctions in town. If vino is your poison, make a beeline for La Lune Wine Co. where you can sample more than 120 drops from across Europe, Australia and New Zealand. 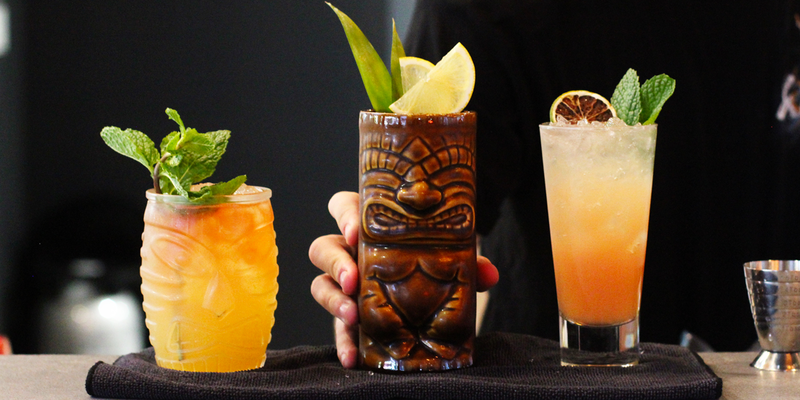 Fancy some cheeky tiki? Pop into Barbossa and grab a Caribbean-influenced cocktail to spice things up. If you just want to knock the froth off a cold one, keep it casual-cool with a craft brew at Saccharomyces Beer Cafe. This is just a little taste of what you can find in the area near Brisbane Writers Festival – for a full run-down of all things edible in South Bank and South Brisbane, head to our Stumble Guide.